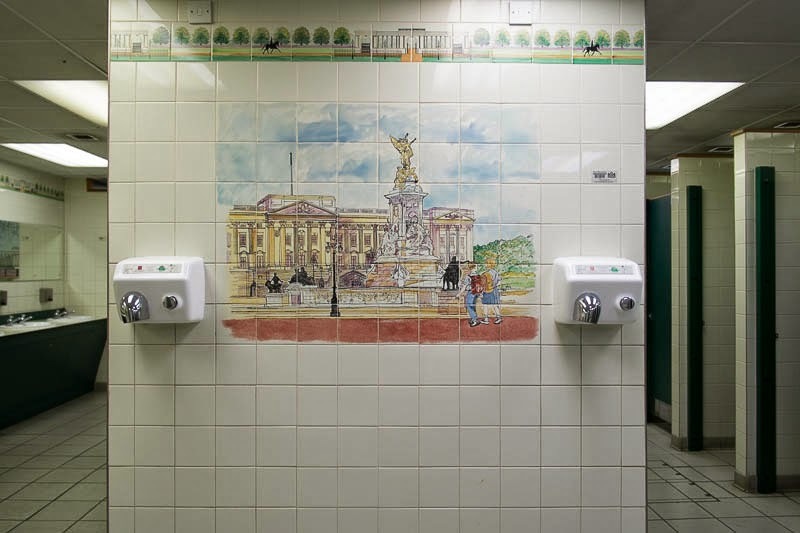 Pretty tiles depicting various iconic London scenes decorate the walls of the public loos at Hyde Park Corner. Well maintained and clean so worth the 50p entry fee. WHat happened to spending a penny? So important that they are clean. This looks very nice! You get a better class of wall-decoration for your 50p. So different from the one I remember in Mile End Road in the 1970s! Now that's very nice. Most of our public loos are filthy. I'd happily pay a small fee to use them if that would be enough to make sure they were cleaned and sanitized properly! It certainly adds a bit of dignity to the place, and helps that the place looks tidy. Very nice decor for a rest room. I never think to take photographs when I am in there . . .